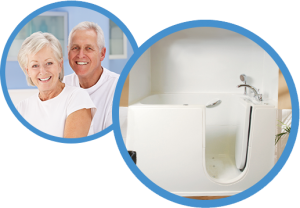 Five Star Bath Solutions is your affordable solution to a new bath or shower in as little as one day. Led by local franchise owner David Girdwood, Five Star Bath Solutions of Saint John is committed to providing Five Star quality bathroom renovation services in your community. As the bathroom renovation experts, Five Star Bath Solutions installs easy-to-clean bath and shower products in as little as one day. Equipped with antimicrobial protection, your new bath or shower will be mold and mildew resistant, so you can spend less time maintaining your bathing space and more time enjoying it! your right bathing space solution. 1. Free In-Home Consultation – Your Five Star Bath Solutions representative will listen to your hopes for your next bathroom renovation project. After analyzing your bathing area and taking measurements, they will share different options and products to fit your bathing space. Following their consultation process they will deliver an accurate quote detailing a cost breakdown of your specific project. you, while providing professional results. When you call, our customer service team will strive to answer your phone call or respond in a timely manner. We strive to make it easy for you to connect with us. 3. Professional installations with time in mind – Five Star Bath Solutions offers multiple products and installations that can be installed in as little as one day. Our professional installers strive to complete a Five Star quality installation in a time-efficient manner, while respecting you and your space. With multiple product options, top quality materials, and a lifetime warranty and leak protection, Five Star Bath Solutions is dedicated to providing a professional bathroom renovation of value to you and your home. Update your bath in as little as one day! Request your free in-home estimate today to learn more about what Five Star Bath Solutions can do for your bathing space.